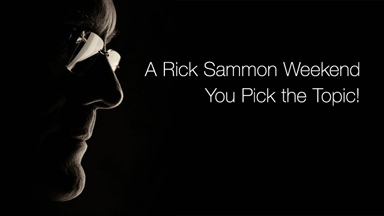 Rick Sammon has written 36 books, produced six iphone/ipad apps, and photographed all over the planet with just about every accessory known to man. He’s a Canon Explorer of Light, a Westcott Top Pro and a Lexar Elite Photographer. Plus he's been nominated for the Photoshop Hall of Fame. Rick’s course will be fun and fast-paced. Hey! This hyperactive dude just can’t sit still!